After denying that she would seek an early election in Britain, Prime Minister Theresa May is now doing just that, calling Parliament to stand for a vote in June in an effort to shore up public support for her Conservative (Tory) Party. 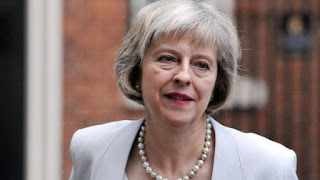 May wants a larger majority in the House of Commons for the Tories to strengthen Britain's position going into negotiations with the European Union over British withdrawal from that body. She doesn't have a solid mandate with the current Tory caucus, and she hopes that she can put Labour aside for awhile, as that party is spectacularly weak despite - or even because of - underfunded social programs and the socialistic Jeremy Corbyn's leadership of the Labour Party. Right now, the only thing that's stopping May from getting that solid Conservative majority she wants is the party of the Liberal Democrats, a left-of-center group that opposes a hard, clean break from the European Union and demanding a "Brexit" strategy that will produce "a Britain that is open, tolerant and united." They can do it, too; they forced the formation of a coalition government in 2010 after the Conservatives failed to gain a majority in Parliament, which involved a lot of compromising to get anything done. As for May, the shock was not that she broke her promise to avoid another election until 2020 but that she broke it so soon. European politics are about to get even more interesting.